Now don’t get me wrong, I have nothing against car salesmen personally; I’ve met some very nice individuals in that profession. But it’s the idea of being sold to that turns us off; the idea of being mired in a transaction where the other person seemingly holds all the power. The modern consumer can avoid this pain almost completely. Today, it’s the consumer that holds dynamic power in the buying relationship. As savvy customers, we have access to more data than we can possibly ingest, right at our fingertips. We can go into most purchasing opportunities armed with more knowledge than ever before. This has created a fundamental shift in how business gets done. In the modern transactional paradigm, you must attract the customer to you on their terms, not yours. It’s called inbound marketing[c1] , and it has become the key to any successful sales strategy in the information age. In this four-part series, we explore the WHY, WHAT, HOW, and WHO of video marketing. First up: the WHY. Video is the fastest growing and most ubiquitous medium for messaging. You have (or should have) a well-balanced array of tools in your marketing tool kit. The goal is to deploy the right tool at the right time. But of all the options like print and direct mail, ad buys and trade shows, email blasts and cold calls, one format has become critical for success: video. We carry video players in our pockets. With cheaper data plans, widespread Wi-Fi access and bigger bandwidth, it’s no wonder the average consumer spends an hour-and-a-half per day watching video, and 85% of people say they’d like to see more video from brands in 2018.¹ For your potential customers, video is accessible, approachable, and easy, and it’s a great way to start the conversation. Converting casual observers into prospective customers. 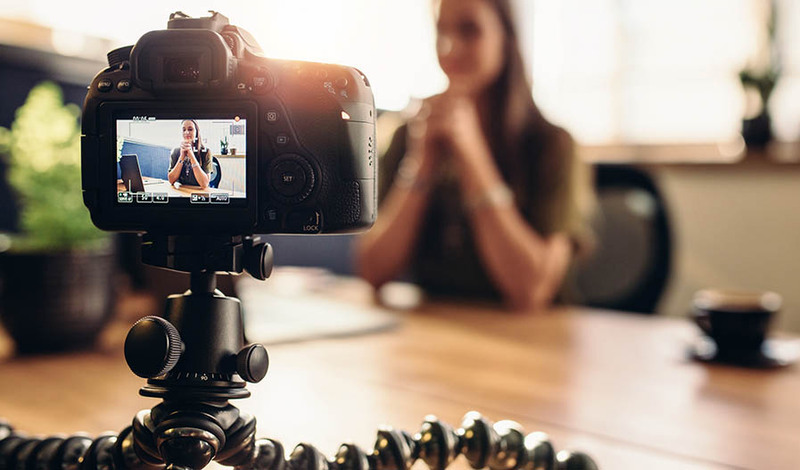 With video, you can show your potential customer anything and everything about you in easily digestible, bite-sized chunks of eye-popping goodness. You can show products, processes, people, or tips and tricks, product demos and how-to’s. Or you can just have a bit of fun and help a prospect warm up to your company. Any of these ideas can lead a casual viewer down the path to becoming a lead. When you can show a customer something that interests them and clarifies you as an expert in your field, you create a much more solid foundation on which to build the relationship and, in turn, your business success. Again, video is one of the strongest growing segments in marketing, and one of the most widely consumed mediums today. Meet your customer where they are. So, WHY should video be a key component of your marketing strategy? The answer is simple: video is one of the most effective ways to attract today’s customers to you. The old saying goes, “You attract more bees with honey,” so you should be laying the honey on pretty thick (just remember to brush afterwards so you can avoid that pesky dentist). Now that you’ve decided to do a video, stay tuned for Part Two of this series to find out WHAT you should show in your video. Learn more about AAC and how we can help assess your marketing needs here! * Sorry dentists, I’m sure that most of you are lovely people. But, come on, we can drive remote rovers on Mars, but we can’t figure out how to fix that evil, high-pitch drill noise? ¹These statistics were gathered by surveying 570 unique respondents in December 2017. The respondents consisted of both marketing professionals and online consumers. Respondents were categorized as marketers or consumers according to their answer to a preliminary question, to ensure they were only prompted to answer relevant questions.